Shipping is calculated at checkout for customers within the United States. Canadian customers should contact us for a lower rate. By providing a high-level command-based system for performing NFC operations, the TappyUSB provides a simple way to interact with NFC stags without forcing developers to read through tag datasheets and industry standards. 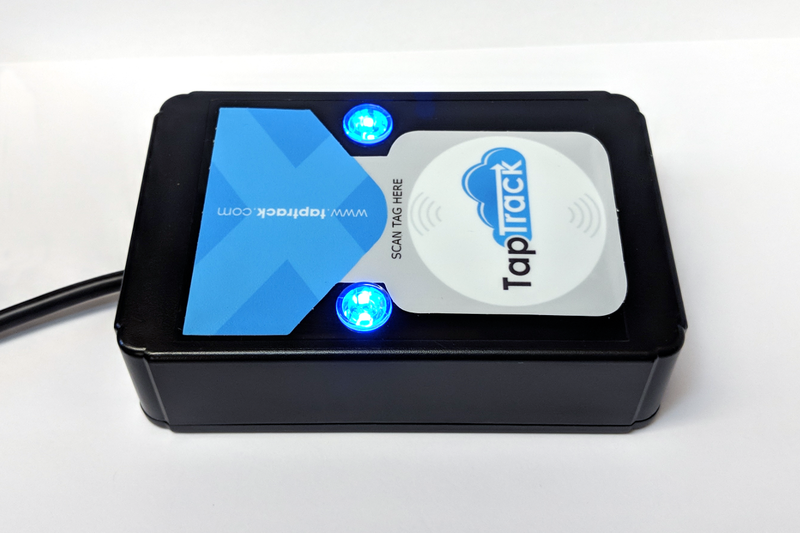 In addition, TapTrack has already produced utilities to allow customers to use the Tappy for several common uses without having to develop anything themselves. The TappyUSB both is powered by and communicates over a USB connection. For further information on the TappyUSB’s specifications, please consult the datasheet . If you wish to start reading and writing to tags immediately, TapTrack has developed an open source platform-independent ChromeApp. In order to use the Tappy, your computer will have to have FTDI virtual COM port drivers installed. Many systems already have the necessary drivers, but, if not, they can be downloaded from FTDI. If your Android device supports USB On-The-Go, you can use the official Tappy demonstration app with a TappyUSB device through the use of a USB On-The-Go adapter cable. If your use case requires custom application development, TapTrack provides free and open source SDKs for several platforms including Android, Windows, and NodeJS. Additionally, a full set of documentation of the Tappy’s features is available for integrators who wish to undertake a custom project. In addition to the standard TappyUSB available here, variants supporting advanced operations such as reading ePassports or providing specialized functionality such as a dedicated stand-alone checkin station are also available. If you think you might be interested in one of these variants, please contact us to request further information.